Genea-Musings: Treasure Chest Thursday - Post 311: 1734 Birth Record of Elizabeth Prescott in Westford, Mass. 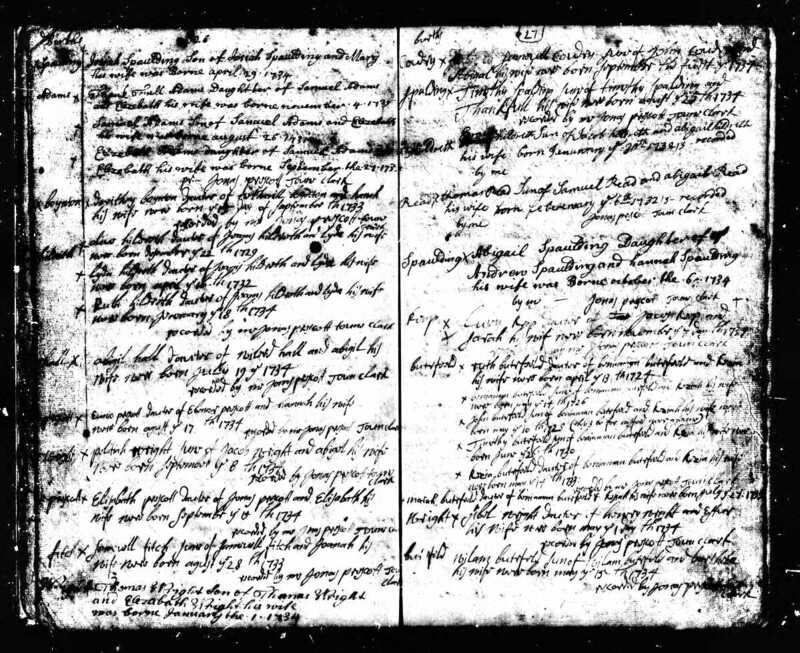 Treasure Chest Thursday - Post 311: 1734 Birth Record of Elizabeth Prescott in Westford, Mass. 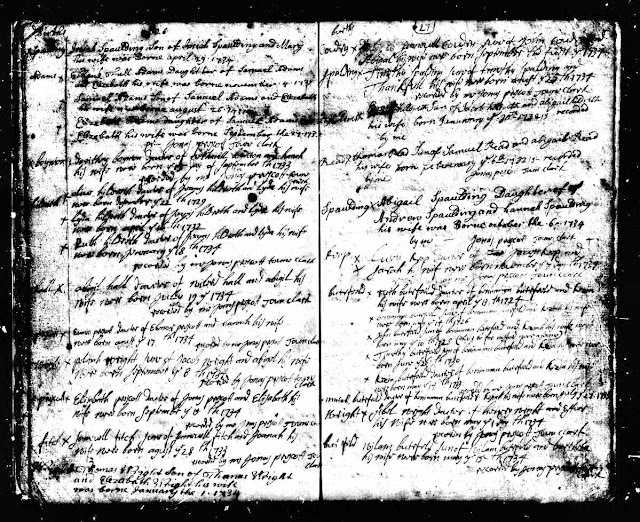 recorded by me Jonas prescott Town Ck"
Massachusetts, Town and Vital Records, 1620-1988, digital images, Ancestry.com (http://www.ancestry.com : accessed 7 December 2012), Westford > Births, Marriages, and Deaths, page 26 (image 20 of 1750), Elisabath Prescott birth entry; citing original data from Massachusetts town and city clerk records in Jay and Delene Holbrook, Massachusetts Vital and Town Records (Provo, Utah : Holbrook Research Institute), Microfiche collection. Elizabeth Prescott (1734-1812) married Zachariah Hildreth (1728-1784) in 1753, and they had 12 children. Elizabeth (Prescott) Hildreth is my 5th great-grandmother, through her first son, Zachariah Hildreth (1754-1829).